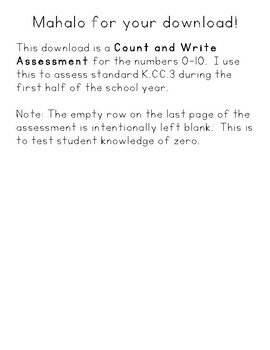 This download includes one Count and Write Math Assessment. 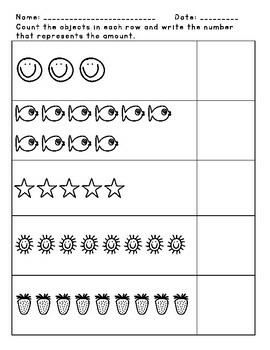 I use this to assess my kindergartener's mastery of standard K.CC.3. 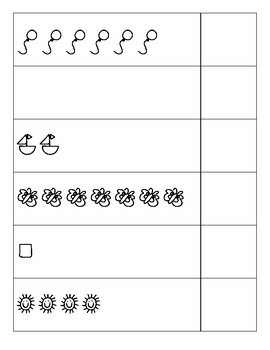 Students count groups of objects from 0-10 and write the number.